Advanced Java training is your key to a rewarding future. The platform independent framework is the first and eventual choice of organizations that aspire to develop various IT solutions to strengthen their core and critical processes. Java is used in wide variety of computing platforms. After undertaking training in Java, you become empowered to create literally anything from web based applications . Beginners can adapt to this language easily.  A candidate undergoing Java frameworks training would become academically sound in developing and creating web based applications to augment the Competencies of relevant industries. Certified aspirants graduating out of top training institute in Java can easily secure promising career roles as Java UI developer, Android developer and other portfolios. There is no dearth of job opportunities for eligible and trained professionals. advanced Java frame work like Hibernate,Spring,Angular JS.